Nokia X2-Dual Sim is mid-range smartphone released by Microsoft Mobiles on 4-June-2014 this New Nokia X2 is the part of the Nokia X Family smartphones. 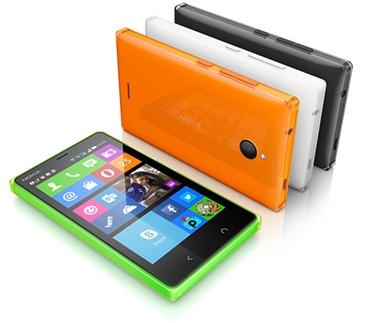 Nokia X2 is the first smartphones which has running Nokia X Platform OS Version 2.0. More about Nokia X2 it has modified version of Android Jelly-bean 4.3 so user can run all Android apps on Nokia X2 except Google service apps like Google Maps, Playstore, Gmail etc. You can see three home screens on the Nokia X2 one is home screen and the second is fastlane, third screen is for apps with searching function, Also user will customize home screens. Available in Bright green, bright red, cyan, yellow, black, white. 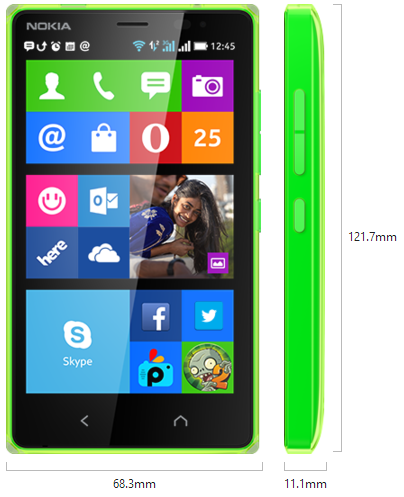 Nokia X platform 2.0 with Android-4.3 Jelly-bean, 1.2 GHz dual core Qualcomm snapdragon 200, GPU:Adreno 305, 4 GB internal Memory with 1 GB RAM, microSD card supports up to 32 GB, 4.3-inches WVGA (800x 480) Aspect ratio: 16:9, IPS LCD capacitive touchscreen, 16 Million colors, multi-touch, Scratch-resistant glass, Clear Black display, Nokia X platform 2.0 UI, Dual SIM, 3G (HSDPA 900 / 2100), WiFi, Micro USB 2.0, Bluetooth 4.0, WAPI. 5 Mega-Pixel, 2592 x 1944 pixels, auto-focus, LED flash, 1/4-inches sensor size, geo-tagging, touch focus, Video 720 pixel @30fps. On front side Nokia X2 has 0.3 Mega-pixel camera for Video recording, Still image capture, Video call. FM radio, Games (built-in), GPS, DUAL SIM + Mini-SIM, 7 GB free OneDrive storage, Speakerphone, Battery 1800 mAh, Skype etc.Graphics format: JPEG, BMP, GIF89a, EXIF, XMP, PNG, WBMP, GIF87a.